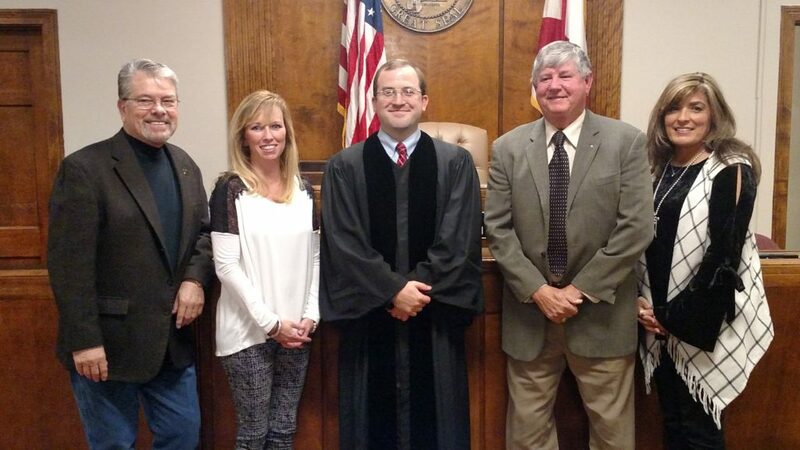 Three new volunteers were sworn in as Court Appointed Juvenile Advocates by Judge John M. Mastin after completing their training with CAJA of Marshall County. On Nov. 28, 2017, the volunteers took their oaths following completion of their 30-hour pre-service training. The new volunteers are Angela Adams from Albertville, owner of Apple Signs in Albertville; Denise Johnson from Boaz, homemaker and pastor’s wife; and Gerald Thomas from Boaz, a retired coach and educator. They answered the call to be advocates for children and participated in CAJA’s fourth training class this year. The new CAJA volunteers joined a network of volunteer advocates who stand up for abused and neglected children, giving them a voice in an overburdened child welfare system that is hard-pressed to meet their individual needs, according to a written statement from CAJA. CAJA volunteers are appointed by the court to conduct independent investigations, report their findings, and serve as “a child’s voice in court.” Children with a CAJA volunteer find safe, permanent homes more quickly, are half as likely to re-enter the foster care system, and do better in school. CAJA volunteers are making a profound difference in the lives of the children they serve, according to the organization. CAJA is accepting applications for the next training class slated to begin at the end of January 2018. Visit www.cajaofmarshall.org for more info and to download an application or call the CAJA office at (256) 878-1445.